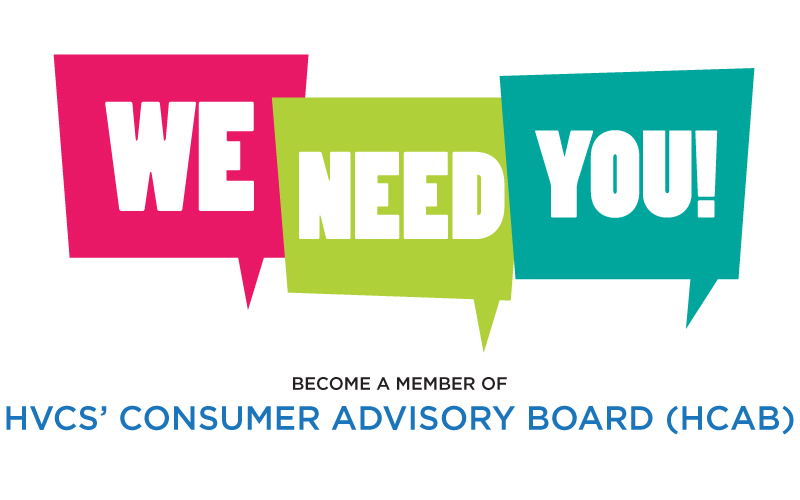 HVCS is looking for clients to join our Consumer Advisory Board. Complete the sign-in form below to be considered for membership! Interested? Please fill out the above form to be considered for membership. Applications will be reviewed by the Nominating Committee and you will be notified within 14 business days of their decision. Questions? Call Christina Gardella at (914) 785-8290. Our next meeting will be on Wednesday, April 10 from 1:00 to 3:00 pm in our Hawthorne office. RSVP to Christina at the number above. Transportation and a light lunch will be provided.